Researchers at Queen’s, in collaboration with the University of Bristol, are leading a cutting-edge project – named the MONARCH study – that could benefit eye disease patients whilst saving both time and money in the NHS. The MONARCH project aims to investigate if patients with an eye condition called wet age-related macular degeneration (AMD) could test their vision at home, rather than attend a hospital appointment. Most patients will not require follow-up treatment, but about 30 per cent do. While hospital check-up appointments are important for preventing further loss of vision, these put a huge strain on already-stretched resources, and limit the capacity for taking on new patients who, if not seen urgently, are at high risk of losing their sight. 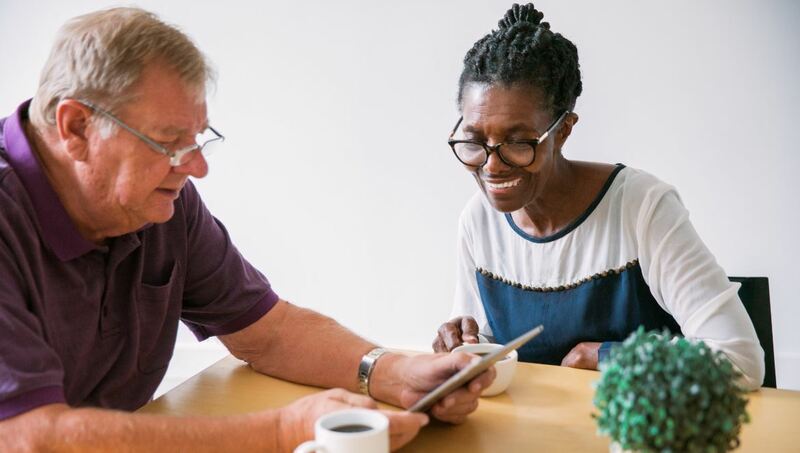 The study aims to find out whether monitoring vision by patients themselves at home could potentially alleviate some of the burden of AMD on the NHS, as well as be more convenient, without compromising their safety or wellbeing. If home eye tests can detect when treatment is needed, it would mean that patients might only need to attend hospital appointments to have treatment. Patients participating in the study will be provided with three different eye tests for them to carry out at home, comprising a paper-based booklet of reading tests and two tests (“apps”) that run on an iPod touch. Patients will be asked to do all three tests weekly at home. The results will be sent automatically via the internet to the Study Management Centre in Bristol. The MONARCH study is funded by National Institute of Health Research (NIHR) Health Technology Assessment Programme and is currently recruiting participants who have AMD. For more information, please click here.